To make an un-restricted donation to the Father Thames Trust to support the work of the Thames Landscape Strategy. The Thames Landscape Strategy, working with its charity The Father Thames Trust has transformed the Arcadian Thames. Just 25 years ago parks were derelict, views were blocked and long stretches of riverside were not open to the public. Through our advocacy and project work all this has been turned around in a way that was not thought possible. The Arcadian Thames may be one of the most iconic river landscapes in the world but there are new threats to the Arcadian Thames. Recent Government housing targets have increased significantly whilst the public funds to maintain our precious open spaces have been cut year-on-year. The peace and tranquillity of the Arcadian Thames is again under threat. The pressure for development and change along the river is accelerating. Never before has the need for the Thames Landscape Strategy partnership been more relevant. As guardians of the Arcadian Thames, the TLS needs to continue its mission in bringing the potentially conflicting riparian owners, authorities and communities together to agree and deliver a better future for the riverside. Historically the Thames Landscape Strategy has been funded through the public purse but recent Government savings have seen this source of money reduced significantly. 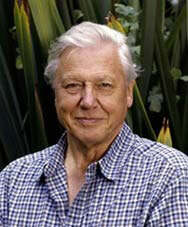 If the organisation is to continue its conservation, advocay and engagement work new sources of income have to be found. My Arcadia! sets out to ensure a sustainable future for the Arcadian Thames by providing un-restricted funds for the Thames Landscape Strategy through a formal community, business and corporate giving programme. By giving to My Arcadia! you can help support our work (through our charity The Father Thames Trust). General donations or gifts of up to £300 can be made by simply filling in the Donations Form. You may want to give more and become a Bronze, Silver, Gold or Diamond Supporter. If you would prefer, your gift could be linked to a particular reach or feature along the river (for Bronze, Silver, Gold or Diamond supporters only). This could be a celebration of your favourite river location or as a gift to someone special. It could be for your business or your staff that has benefited from being by the river You may tell us why you have chosen your particular place and share any stories about its past, wildlife or meaning to you. Giving to My Arcadia! is open to private individuals, groups and business. For gifts above £325 or for those who set up a standing order you’ll receive a beautiful certificate thanking you for your support and be invited to a special annual event to thank our supporters. Individual naming possibilities are available for Silver, Gold and Diamond supporters that could include a special event to celebrate your gift. If you would like to support the TLS we are happy to talk to you regarding any additional requests that you may have to complement your donation. 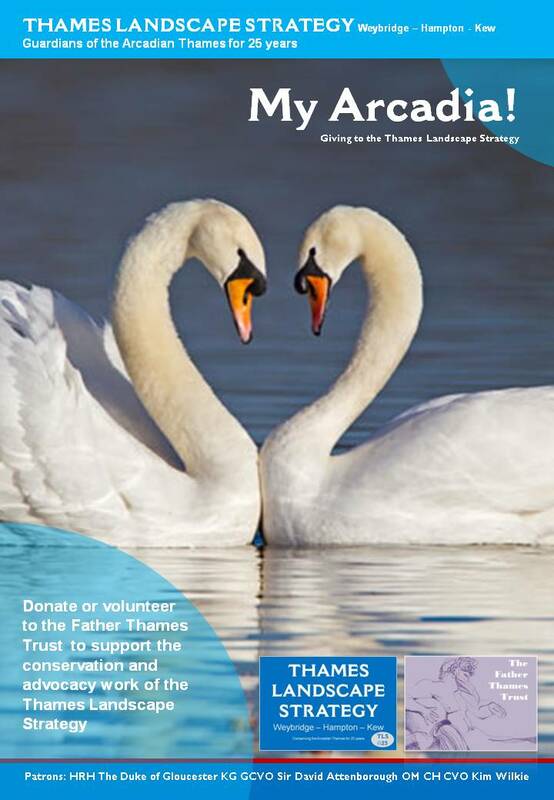 100% of your donation to the Father Thames Trust will be given to the Thames Landscape Strategy to help keep our valuable conservation and advocacy work going. It could not be easier. Choose which particular giving package you would like and fill out the downloadable form (a paper version can be sent to you on request). You can pay by cheque, electronic bank transfer or set up a standing order. We thank you for your support.